It is a privilege to do work that represents a place with such grand geologic splendor as well as so rich a history. 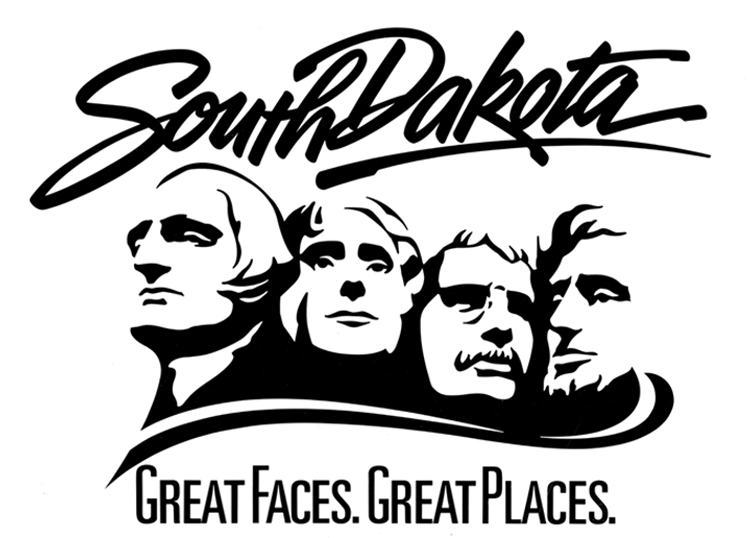 The history and legacy of South Dakota is one of the more remarkable states in our union—time tells, and it is gratifying to see this mark and tagline still in active applications, across media, decades later. 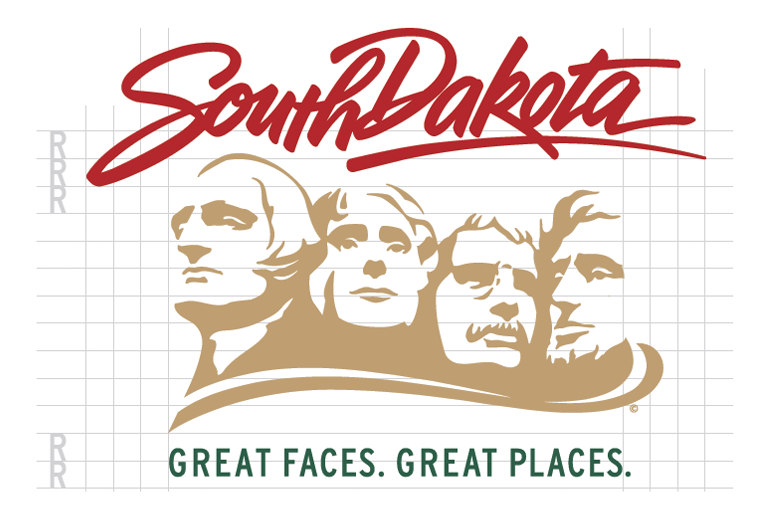 Today, it’s just as relevant as it was when we drew the Rushmore icon, created the script rendering and wrote the Great Faces, Great Places positioning line with the team at the South Dakota Department of Tourism. Perhaps the most visible and ubiquitous applications of this mark is on vehicle license plates, where the line “Great Faces. Great Places.” acts as an emissary of tourism wherever the driver travels. 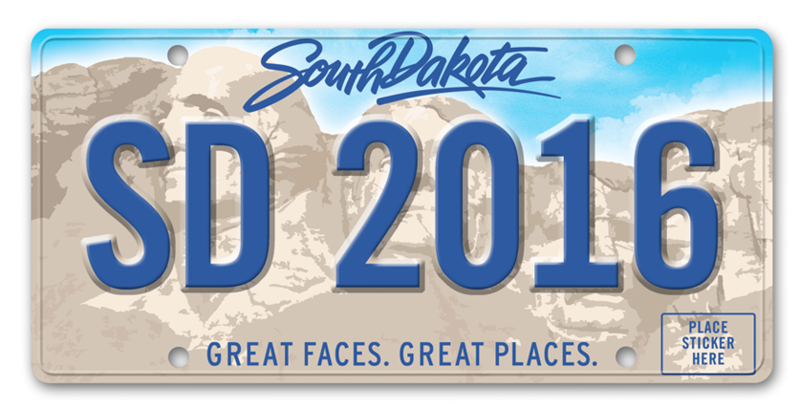 The “South Dakota” calligraphy communicates the energy and wildness to be found in this rich part of the country as well as in its people. 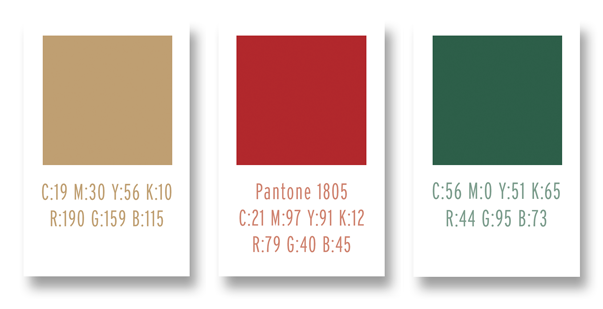 To ensure a consistent and powerful campaign deployment, GIRVIN created a brand guide to define rules for use of the mark and tag line, image style, message as targeted for each audience sector, partner or co-op. 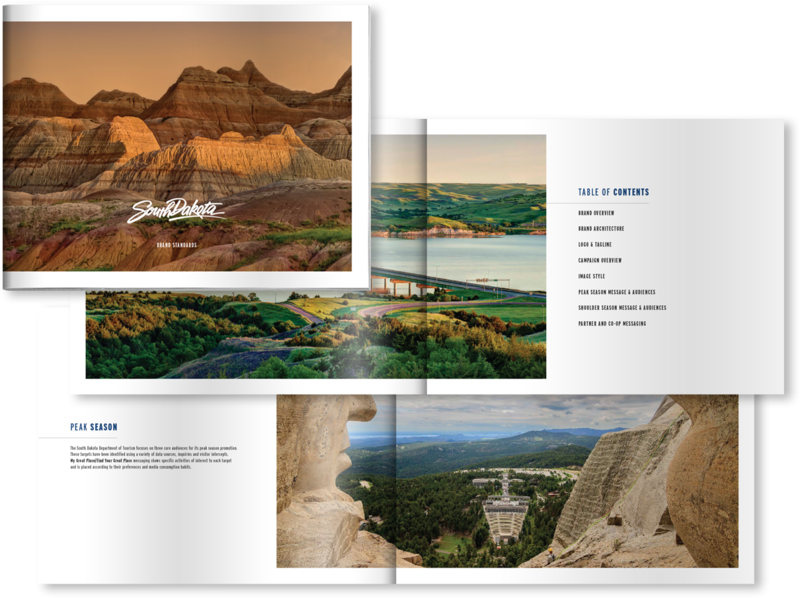 The Brand Guide for Douth Dakota’s tourism campaign clearly delineates the color and type are used along with the new mark and campaign tag line fpr the most effective and comprehensive communications throughout. Brand Message is defined for Peak Season Audience, Shoulder Season Audience, and also for Brand Partners and Co-ops.